Because when it comes to men, the truth is, it’s the thought that counts more than anything in the world. And more than anything in the world, something that came from your hands and your love is what’s important. As mentioned in the last post, if you’re looking for ingredients to use in any of these gifts, first check your local natural foods store, and then turn to Mountain Rose Herbs, iHerb (and use the code OZE706 to get $5 off your first order), or another reputable online store like From Nature With Love or even Vitacost (the latter especially for low-priced essential oils). When my (gasp) 14-year-old started shaving seriously last year, one of the first things I did was make him aftershave. And it was a recipe similar to this first one, which uses rum and vodka and bay leaves and other manly things. Luckily, he’d never even dream of drinking it. However! You can, if you’re so inclined. Which makes this an excellent man-gift, because if they don’t like it for its intended use, they can always share it with their buddies in shot glasses during a card game. You know what I see as the perfect packaging for this? The rum bottle, only with a new label (so if you can find one with a peel-off label, it’s poifect) that looks just like this. In fact! It’s even a real label. Be my guest and print it off and use it. Admittedly, some of these ideas are pretty “small” in the way of gifts, but there are several you could combine together to make a crunchy-man gift basket. And including some of his very own car freshener is one of these great combo ideas. Perhaps my favorite way to do this would be to create a “bath sachet bag” like in this post, only use mulling spices as the filling and then top it off with 20-30 drops of essential oils like cinnamon, nutmeg, and cedarwood. And instead of using cheesecloth, try using a reusable tea or spice bag. That way he can hang it from the rearview mirror or anywhere else that’s handy. (Plus, all you have to do to freshen it is pop a few more drops of your essential oil inside and it’s like a brand new bag, baby. Of course, if you know how to sew, it would be so incredibly easy to just sew a little sachet with a hefty string at the top to use just the same way. And then you can customize the fabric (just make sure it’s nice and breathable). 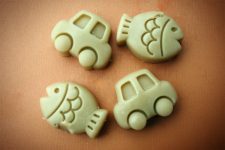 Other ideas: Make him some scented stones as mentioned in the post for kids that he can leave in the ashtray, or dip thin wooden dowels in a mixture of oil (like olive or sweet almond) and his favorite-smelling essential oils. Then he can slide those into the air conditioning vents and enjoy the manly smell whenever the air blows. Arnica salve – frankly, you could use arnica with the daisies in the recipe above and have an outstanding massage blend. Arnica is magic for sore muscles (but don’t eat it – it’s not for your mouth). While we’re on the topic of rubbing salves in, let’s talk about what you can give to your man that will help him give to you. If there’s one thing I’ve learned recently, it’s that men love to give – if you provide them with the right tools. Imagine giving him a tin of this chocolatey sinfulness. (Shame face.) There’s one thing I haven’t done yet, that I really, really want to do: Make soap. Real, honest-to-goodness handmade soap. It’s going to happen soon. But in the meantime, if you want to be even more crunchy than I am make the men in your life a few bars of their very own soap. Sounds a little contradictory, doesn’t it? If you have the right guy in your life, though, this could be a perfectly thoughtful and much-welcomed gift to give him. The right guy will probably be the one who has as many skincare products in his bathroom as you do. So choose your man wisely for this one. Possibly the best sugar scrub to offer a man would be one made with brown sugar and a gender-neutral scent like grapefruit, peppermint, or vanilla (or any combination of scents you feel appropriate). Here’s an easy sugar scrub recipe that you can tailor for the man you know will appreciate it. Mix everything together in a small tub and package it well. This should keep, unrefrigerated, for 6 months. In fact, it may be one of the few things I know for certain he would use and enjoy, if I gave them to him. One year, I gave him a sweet metal magnetic spice rack full of spices – and he hated it. This year, he’s getting toothpicks. And he’ll love them. Don’t want to make flavored toothpicks? Then, by all means … buy some bacon flavored ones. You know you want to. In a sense, men have it a little easier than women when it comes to finding the right essential oil blend of scents. From what I’ve experienced, many more of the essential oils have a masculine quality than a feminine one. This makes it a cinch to create a cologne that’s both natural and nontoxic for the men in your life. But, as always, the more simple it is, the better. The best part is, all you need is high quality vodka and a few essential oils (which, of course, you can get at Mountain Rose Herbs). What I love best about the idea of giving cologne in this manner is that you’re not just giving him something that makes him smell yummy, but you’re giving him the gift of aromatherapy, too. Yes. This seems like a total throwaway idea, but please take it to heart. This is particularly for the men in your life with whom you’re exceptionally close (your husband and sons). Give them the gift, this holiday season, of your happiness. Your contentedness. Your acceptance. There’s nothing they crave quite as intimately as this, and only you have the power to give it. Remember that they’re doing the best they can with what they have, and that your job is to make sure you’re peaceful, open, and ready to give your love when and wherever you can. There’s nothing quite like the gift of acceptance. Nothing, really, in the whole entire world. 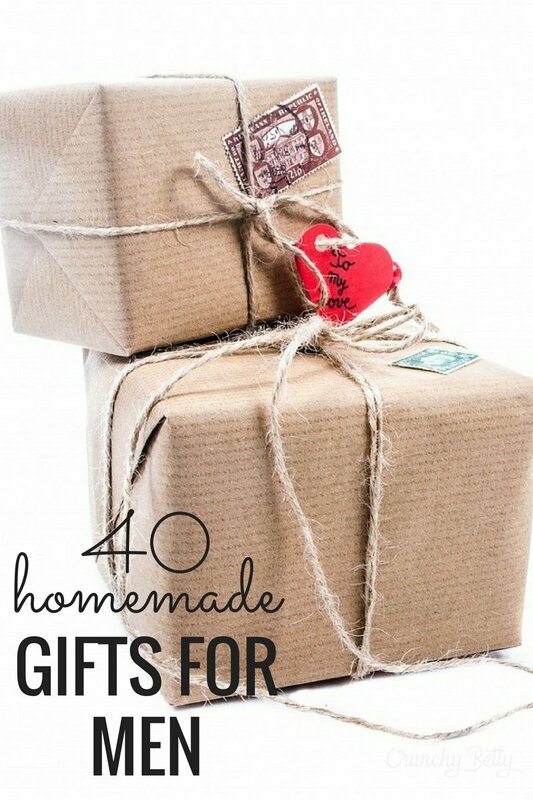 There are many, many, many great lists of homemade gifts to give to men. Some of them require an awful lot of sewing (of which I am not adept) and some of them are as simple as molding an old vinyl record into a bowl. So here are a few of the better lists of homemade gifts to give to men – taken from some of the very best sites on the internets. Do You Have Any Man-Gift Ideas? While I was writing this, I had a few more: How about beef jerky? Or homemade kahlua? Or even spice blends or dry rubs, if the man you know loves to cook? Ahh. Far more ideas for men than I’d originally thought, but now I want to know: Do you have any other ideas for great handmade men’s gifts? For as difficult as it is to come up with two ideas, once they start flowing, the way to make the men in your life happy are easy to grasp. Share, if you have other ideas or favorite tutorials you’d like to link to! 40 Hot Homemade Gift Ideas: 20 More for the Ladies! Well, I feel cheated by the title of this post. oh “anon” – you silly person, you! these are delightful 🙂 there were 40 (plus) ideas, for men – um, yep that’s all pretty straight forward. i am addicted to this amazing (and not to mention FREE) website! Thank you for this list! I love making my gifts since it’s cost effective, the quality is so much higher than if you purchased something from a store. But those men, those tricky beasts… you’ve probably made my holiday season! 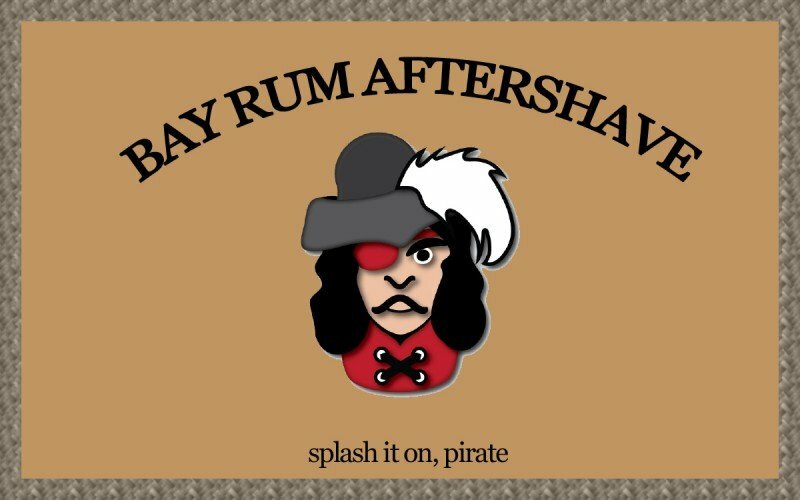 The bay rum aftershave is my favorite idea! What a treat for just about any guy…this might end up under our tree this year. Thanks for the idea! Hi Crunchy Betty! Thanks for the comprehensive list, I can’t wait to get started on a few of these. Especially excited about the mens cologne and mens scent blending links you shared, thanks! What a wonderful list (and website!). Thanks for including me on your list. 🙂 I love the flavored toothpick idea! Wow, thanks for these great round-ups! So many great ideas. Wondering if I should even bother with all my scheduled blog posts with recipes for herbal gifts. You’ve got it covered lady! I often forget to let my husband and son know how happy they make me, thank you so much for the reminder!!! CB rocks! Can’t wait to see the next gift list you’ve got for us! Have you ever used Young Living essential oils? I would trust them much more than Mountain Rose to make therapeutic-grade oils that are beneficial to the body rather than perfume-grade oils that can actually harm your body’s cells. Those are some pretty strong words against Mountain Rose Herb’s oils, there, Kimkg. Do you have any reason to believe that their oils are harmful. What exactly is “perfume-grade”? I use EOs from a variety of sources (MRH, Aura Cacia, tiny samples of the expensive stuff from Eden Botanicals, and some from back home in India). 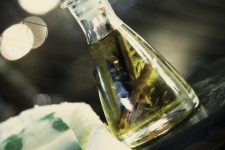 Another offshoot of Young Living, called doTerra, has their own registered trademark “Certified Pure Therapeutic Grade” which is,in essence, BS (pun intended). It’s more akin to Nike’s “Just Do It” than to say, a USDA organic certification.If a company made really good products, why would they need deceiving marketing strategies? My rule of thumb is to avoid MLM products – their inflated prices are because of the business model, not because they provide a better quality. And when the founders of these companies are “certified” quacks like Gary Young of Young Living, I would definitely steer clear. 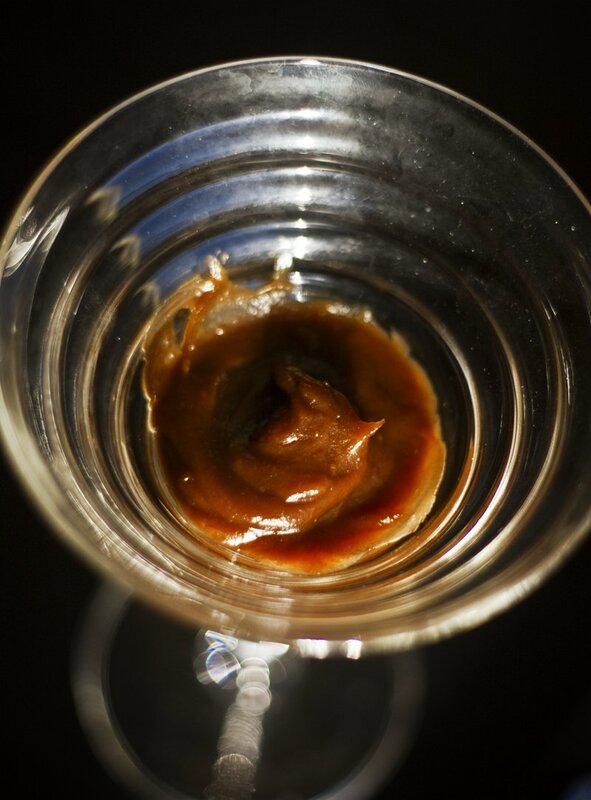 A recipe for homemade beard softener would make a good gift. I buy my husband his for lack of a good recipe. It’s the gift that gives back once you feel the difference on your own face during smoochin’. Thank you for this list! It is getting my brain working on what to make for my husband this year, since money is tight. Glad it pops up first on google when you search for homemade gifts for men! Great suggestions! I’m searching for handmade papercrafting ideas for men around the web. 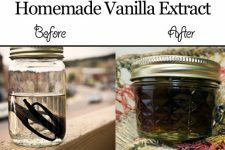 While I don’t buy into the whole “organic everything is so much better melarkey,” I very much enjoyed these DIY gift ideas and was happy to find this list. My bf’s a cyclist, so I think the massage/achy muscle oil idea is extremely helpful. I’m currently searching the web for things that would be safe to ship overseas, though (he works in England and I’m in the US), so I probably won’t be making any liquid/food-like things until I’m moved to England myself. I linked to this in my post Frugal, Useful Gifts for Men. And you forgot bacon jam! Get glass jars then label each jar. So…can the scrub be kept at room temp and how long does it last? Plus, how often can it be used? I want to be able to give instructions with the gift! Love the idea. Not his normal thing, but perhaps he will try it 🙂 I think lemon EO would be lovely. of gifts for special events or the relationships you have with individual recipients. Let’s ponder a few of the issues one should consider when contemplating dress.